Troubleshooting electrical on any vehicle can be simple but often can become complex. Having the right tools to help you find the problem can be critical to get the job done. Keep in mind every mechanic will have their own style and method when it come to finding a problem. Some will use the simplest of tools while other will use more expensive diagnostic equipment. The main goal always is to get the job done and fixed so using whatever tool you feel best using is the way to go. A multi meter can do most all of your eclectic troubleshooting needs from testing voltages to continuity. A expensive meter is not needed and most any cheap low cost unit will work. Of course if you already have a nice meter than all the better but for working on cars and trucks most any meter will be fine. Read Here For Our Picks of Multi Meters. 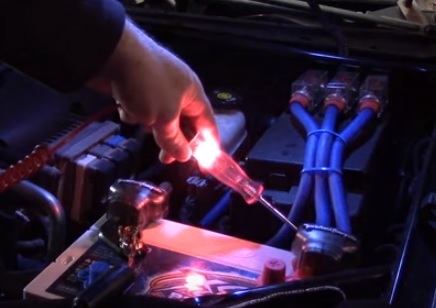 A 12 volt light tester often called a idiot light is used by many mechanics’s as their main electrical tool. Since a vehicles electrical system uses 12 volts finding if a wire has voltage is easy with a idiot light. One side is grounded to a negative source and the tip can than probe wires to see if voltage is present. 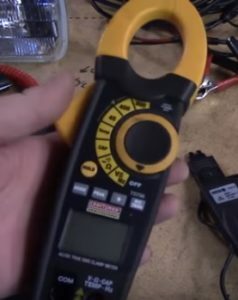 This makes them a handy cheap quick tool to find if their is voltage on a wire when there should be or hooking up trailer lights. Many techs after using a 12 volt light for awhile can tell by how bright it glows if the voltage is high or low. A Amp clamp is a easy way to see how many amps are passing though a wire by simply clamping around it. There is no need to cut into or disconnect a wire the clamp goes around the wire and will display the amps passing though it. This is a quick way to see if something is over or under amping. A OBD2 scan tool should be part of any mechanics tool box. A scan tool will check the computer for any error codes and display them and the problem if there is any. This can help you narrow down a problem much easily than simply starting from nothing. In the past automatic diagnostic scan tools were expensive dedicated tools, and while a expensive OBD2 scan tool can still be bought cheaper smartphone units have become available. Smartphone OBD2 scan tools are low cost and can greatly help diagnose a vehicle on the cheap. Read Here for Some Low Cost OBD2 Scan Tool options. 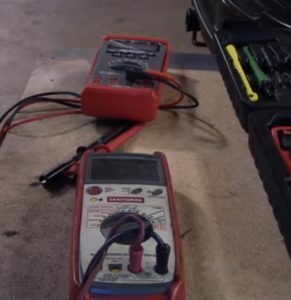 The above are some of the basic tools mechanics use when finding a problem with a car or trucks electrical system. There is no doubt more than one way to get things done so what works for one person often doesnt work as well fro the next. There are many mechanics who only use a 12 volt light tester wnd others whjo only use a multi meter. The bottom line is what works best for you to get the problem fixed and the vehcile back on the road. Do you have a favorite automotive electronics tool? Let us know in the comments below. Does the amp clamp read dc amps?